Need food for a meeting ? We'll deliver PILAU to your office! C L I E N T S S E R V E D I N 2 0 1 8 . . . .
First opened in 2015, PILAU has quickly earned a reputation for quality halal food that is now the hallmark of our brand. 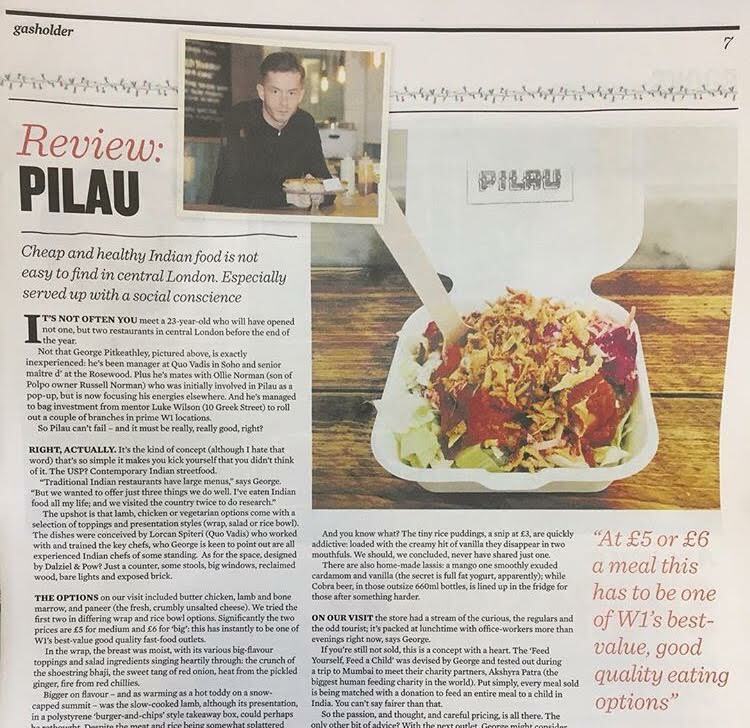 PILAU has always sought to dispel inaccurate myths surrounding Indian food and break down barriers preventing customers from enjoying Indian cooking. 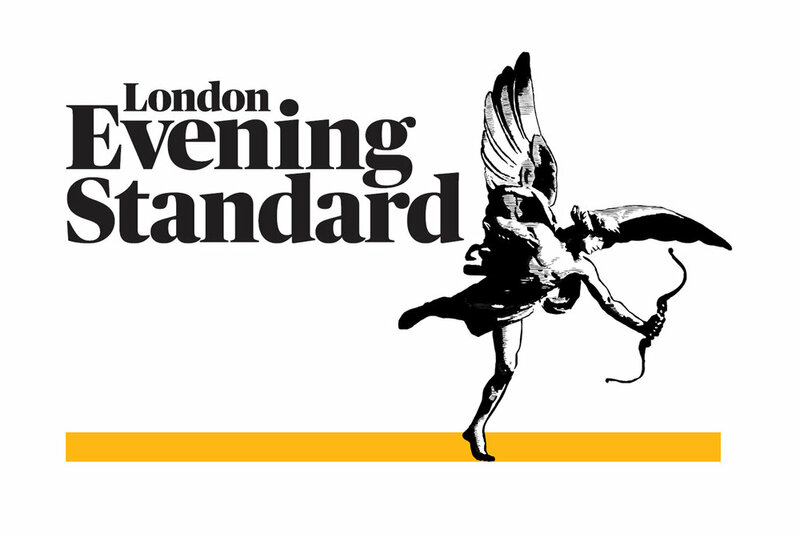 Press feedback across multiple forms of media has been glowing with a full double page spread in the Evening Standard. By combining our love for Indian culture and knowledge of London’s restaurant scene, we have created the ultimate fast-casual dining experience. Offering fresh, authentic, good-quality Indian food in an accessible and contemporary format. 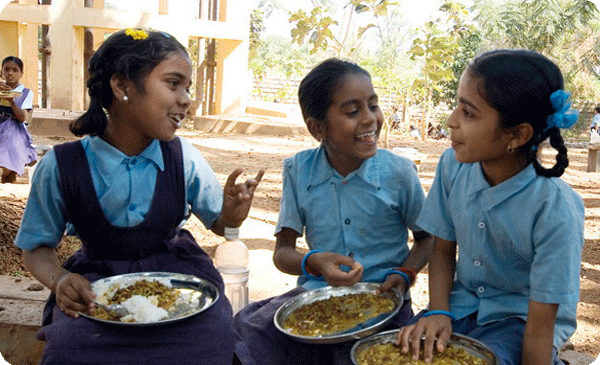 Every time someone eats at a PILAU restaurant in London, we donate a mid-morning meal to a child in India. We do this through our partnership with the incredible Akshaya Patra, who feed 1.8 million children everyday and help fulfil these children's dreams though a nourishing meal giving them the best possible chance in life. PILAU has already fed thousands of meals to children and we're only just getting started! Everyone at PILAU believes we've been put on this earth to make a difference. We're on a mission to feed 1 billion children and we wont stop until we achieve it! If you would like to know more, or get involved, visit the link below and GET IN TOUCH! George started his career at the age of 14 washing dishes for Arnold & Henderson. He later joined Quo Vadis in Soho and quickly rose to become London's youngest restaurant manager at just 19. He later joined The Rosewood Hotel group as Senior Maitre'd before leaving to study accountancy at the London School of Business & Finance. In 2015 he founded PILAU LTD and later the Feed Yourself - Feed a Child project. He has been awarded the converted 30 Under 30 by CODE Hospitality, 'one to watch' by The Media Eye and Young Achiever by The Princes Trust Foundation. Luke is the owner of 10 Greek Street, 8 Hoxton Square, White Chapel Gallery Cafe & 8 Hoxton on Pergola. 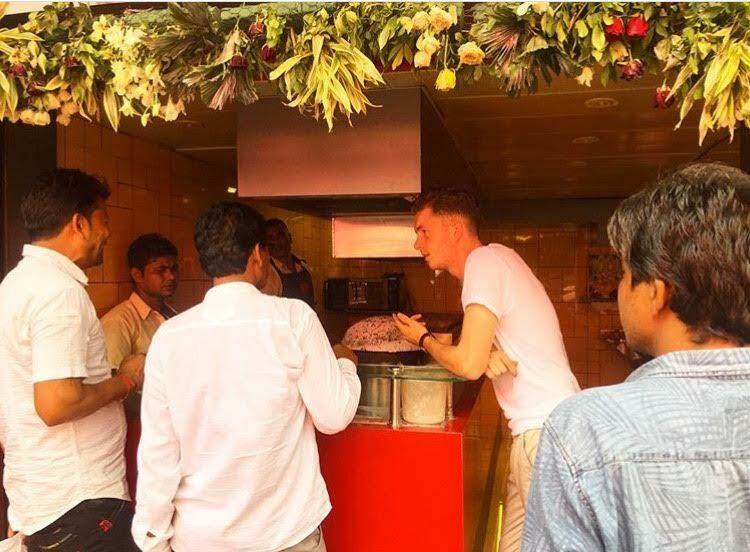 Luke has been a huge influence in helping take PILAU from a humble street food trader to a lean restaurant model capable of competing with the big boys. We met Hetal on our first visit to India and have never looked back! She took us under her wing and taught us recipes we had never dreamed of! 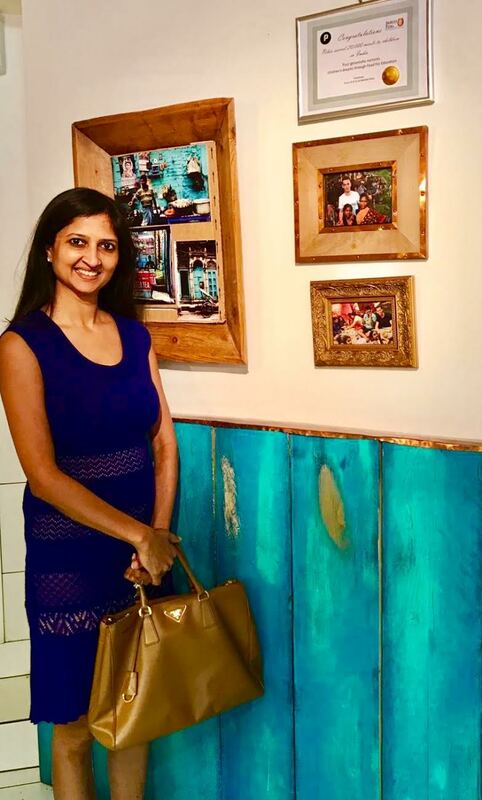 Despite the distance between London and Mumbai, Hetal is involved in all menu discussions via Skype and her family home is the first stop on all trips to India. Hasanul has a wide breadth of knowledge spanning between the private and third sector. His work has helped his corresponding organisations and teams win over 20 national awards across industries including PR, Regeneration, Time Out, Mayor of London, New London Architecture and many more. He managed the operational expansion of Camden Town Unlimited which provided support to over 300 businesses and now supports over 450. He also helped create a charitable arm of the organisation which runs Collective. Collective has helped create over 110 start ups supporting them to go onto raise over £25m to date. Felix has quickly risen to become one of London’s youngest multi site operators. 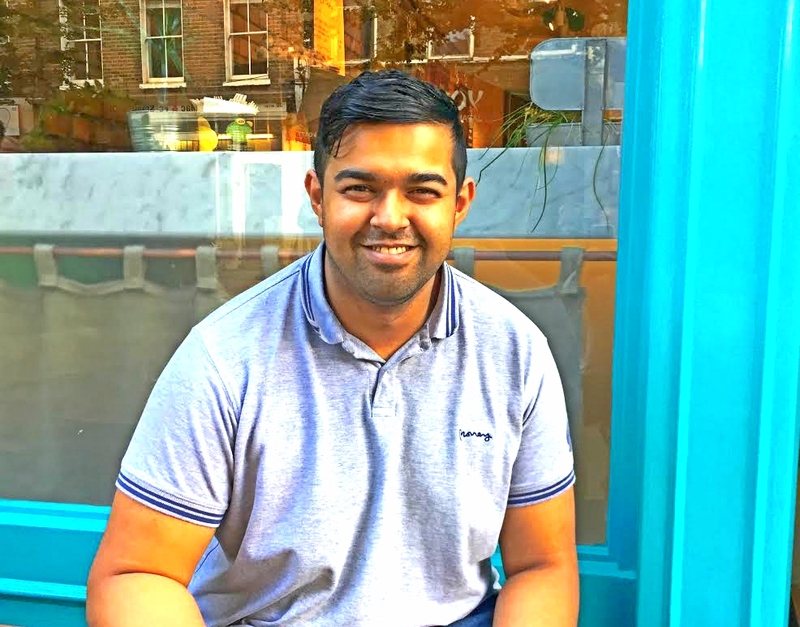 He looks after all correspondents across both PILAU Fitzrovia & PILAU Soho as well as business development, working on our franchise model and researching potential sites. Dipika is the Executive Director of The Akshaya Patra Foundation - She oversees the charities work in India and beyond. Dipika has helped immensely in forming the strong partnership between PILAU and Akshaya Patra and has been a continuous source of support and guidance. "Avoid the lunchtime rush if possible, you wont fit through the door"
"On my visit there was a big queue of working lunchers scanning the refreshingly short menu"
"A Super Lamb curry & wicked cardamom infused custard tarts"
"This instantly has to be one of W1’s best-value good quality fast-food outlets"
We're looking for new franchisees. If you think you've got what it takes to join the PILAU family, get in touch. We cater to all large office orders, meetings or private events. Send your requirements and we'll look after the rest.